Have you ever visited Jersey? It’s been on my wish list for years. Post commissioned by Visit Jersey. What do you think of when you think of Jersey? Jersey Cows and their creamy milk? Flavourful Jersey potatoes in the spring? Jersey has its own history separate to Britain. Did you know that it was occupied by Germany in World War II? … and some serious relaxing afterwards! Now whilst I plan my dream Escape to Jersey the Visit Jersey folks sent me a few local treats to try. 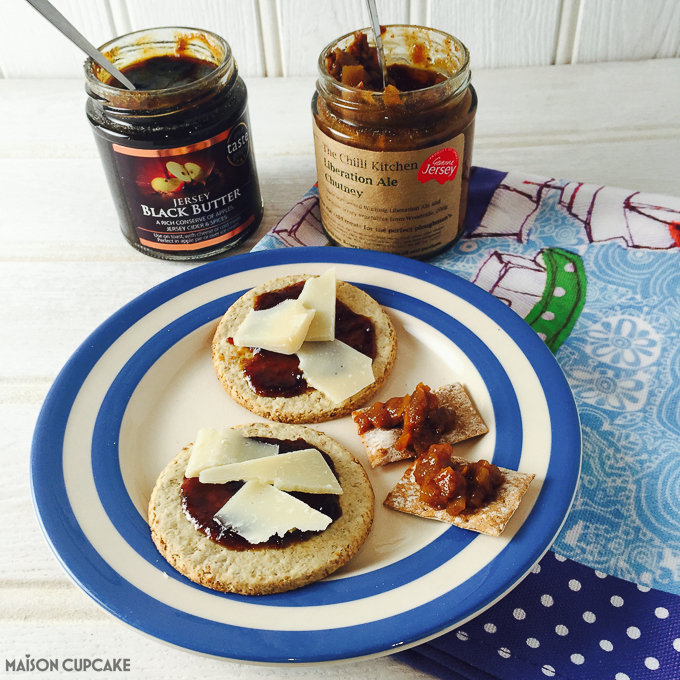 Above left you see a dark treacley apple butter known as Jersey Black Butter – perfect with cheese and crackers. On the right we have Liberation Ale Chutney made by The Chilli Kitchen with genuine Jersey vegetables and perfect accompaniment to a ploughman’s lunch. If you’d like to plan your own Escape to Jersey then visit their website and you could be in with a chance to win your own break. Post sponsored by Visit Jersey as part of their Escape to Jersey Campaign. Great photos Sarah! 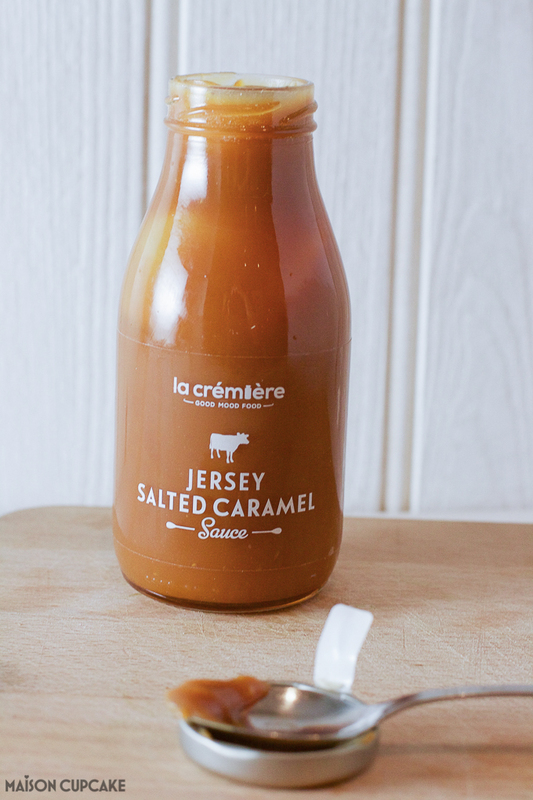 Jersey looks so beautiful and that salted caramel – wow! Thanks – they share some beautiful stuff on the VisitJerseyCI instagram, well worth a follow! 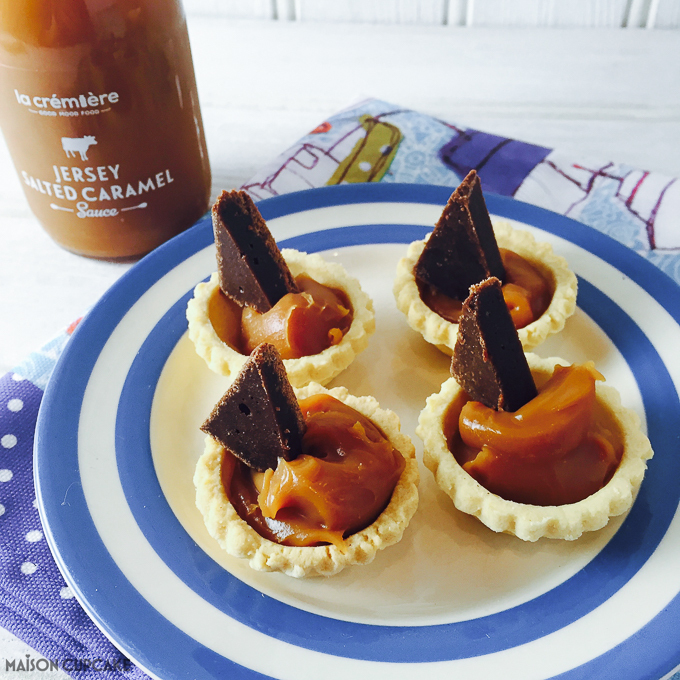 Gosh that black butter sounds unbelievable – as does the salted caramel! I’ve never been to Jersey but have always thought it must be a really lovely, and really interesting, place to visit. Yes I think for a little place it has a lot to offer. It’s definitely on my list! I would love to go to Jersey, even if it was just for that salted caramel haha. I have been to Guernsey many times, by yacht for fun and by plane for work. Would love to go to Jersey too and eat all the salt caramel sauce! This photo essay has me very tempted to start planning a trip to Jersey in the summer. Really gorgeous images – of food, cows and scenery. I’m going to click on that link right now and try to win a trip! I have indeed – one of hubby’s best friends lives there and we have visited almost every year since about 2003 🙂 It’s a very underrated destination – glorious beaches, an interesting history and amazing food. I did a huge post about it on my blog last year 🙂 That caramel looks uh-MA-zing! I have been to Guernsey but never made it to Jersey – really have to get there. I want to visit for that caramel alone, never mind the gorgeous scenery!